Did you stumble upon this article because you are interested in learning how to start a profitable blog? Do you want to earn money online? Are you a mom? If you answered yes to those three questions, you are exactly where you should be! In the post below I will dive deeply into how multiple mom bloggers have started profitable blogs and how they earn money online. It’s amazing to think about how far technology has come and that you can build a business and earn money from home. With today’s tools and step by step guides, starting a blog and building an online business is easier than ever. 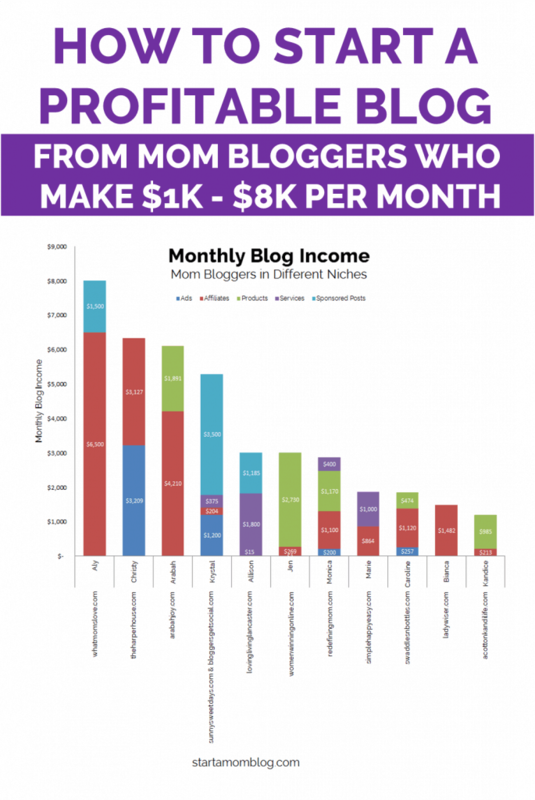 The chart below sums up at a high level how much these moms earn with their blogs per month and how they do it. Read on to get into the details. You have all the tools at your fingertips. It has never been this easy to reach thousands of people instantly through a few clicks online – the secret lies with you. Will you do it? Will you invest time and energy into creating a profitable blog? If you want to do this, read on, and get inspired by these successful mom bloggers! But first, a little bit about these mommies. Who can you relate to the most? Lifestyle blogger who started making money from her blog after 6 months through sponsored posts, affiliate links and virtual assisting. 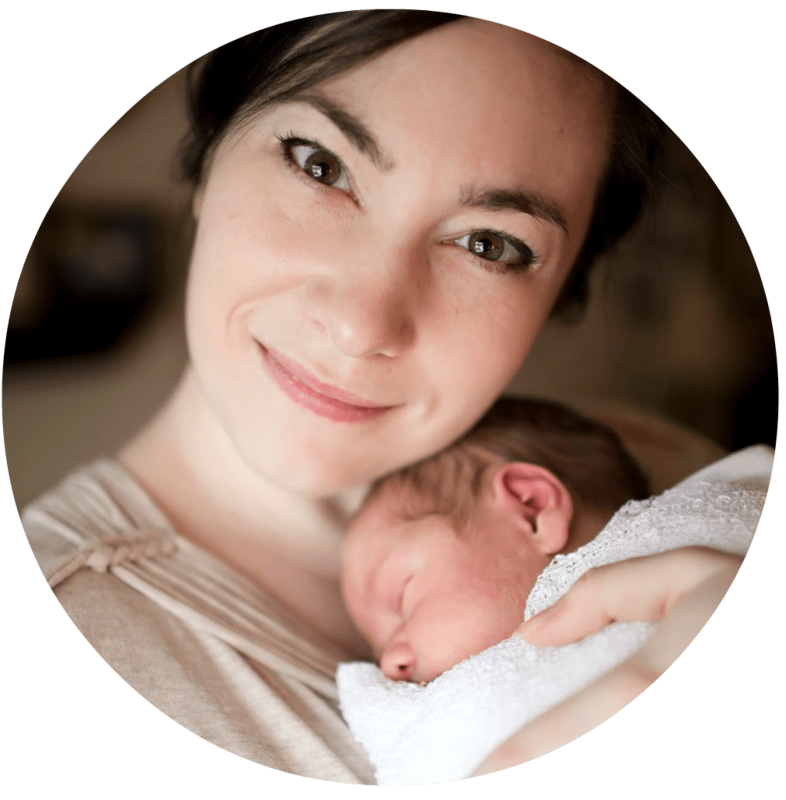 Parenting and motherhood blogger who made money through her blog in her first month! 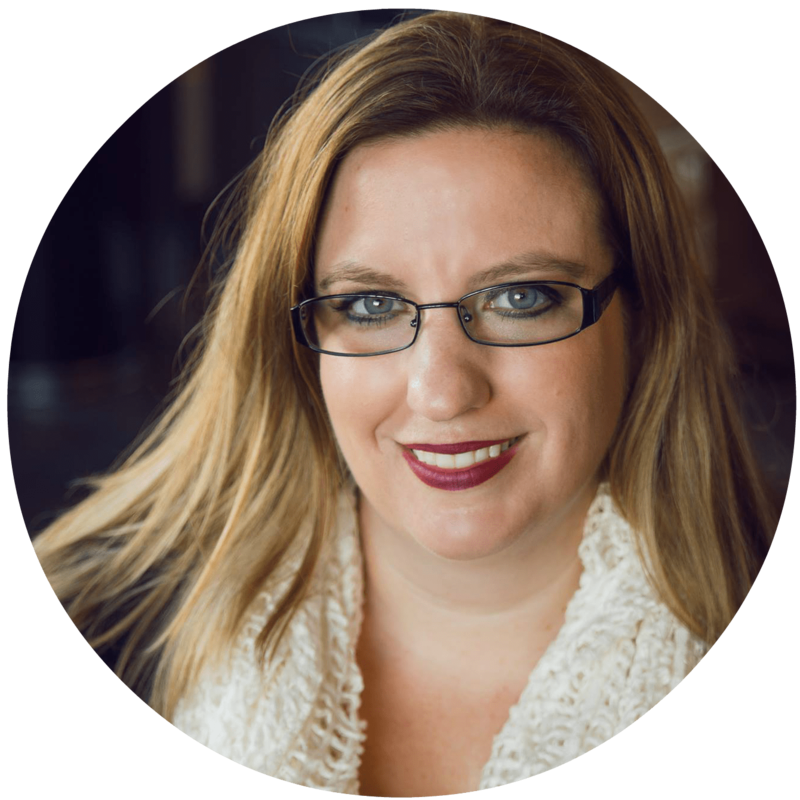 Business blogger who started making money from her blog after 3 months through affiliates and ghostwriting. Organizational and efficiency blogger who started making money from her blog after 6 months by launching her own ebook! 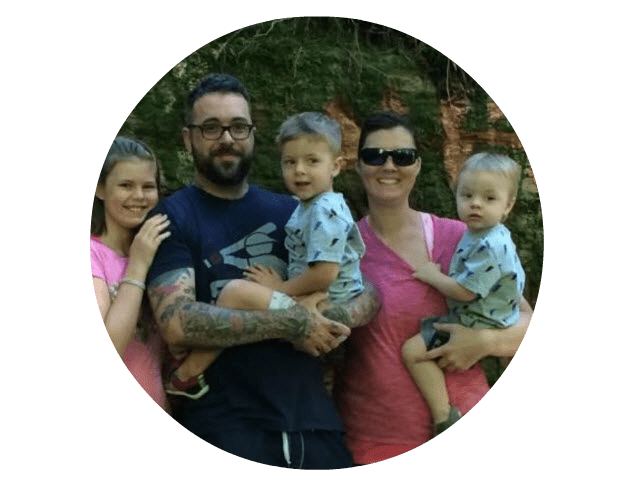 Monica helps moms transition from corporate life to work at home life and started making money with her blog after 8 months. 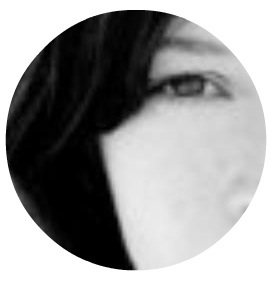 Lifestyle single mother blogger who made money from her blog after 6 months through affiliates and promoting her direct sales businesses on her blog! Lifestyle blogger who left her non-profit desk job to blog full time about recipes and creating a happy home. Christian blogger who blogs about her passion and quickly monetized when the need came up. Aly helps moms find the best things in life and started making 4 figures a month after only 4 months. 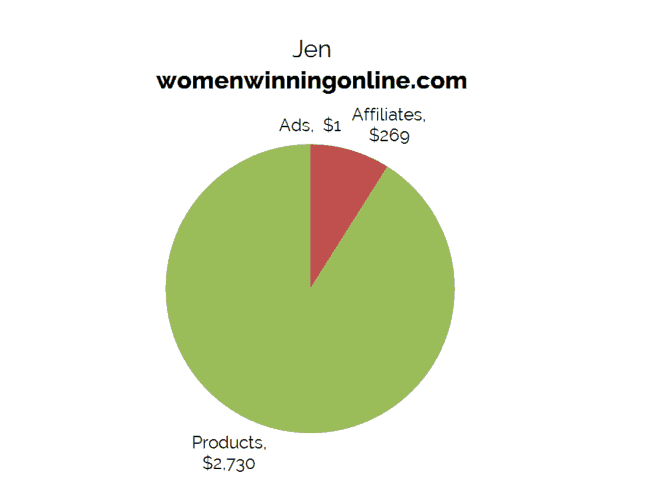 Jen encourages and helps moms work from home while raising a family and she made money from her blog after 6 months. Home decor and interior design blogger who made over $37,000 in her first year of blogging. How to choose a blog niche.How to start a blog. To build a profitable blog, you need to provide value to your readers. Many moms share their own knowledge and experience with others to help them on their journey. Ask your friends and family what you’re good at and what they see as your strengths. Sometimes seeing yourself through another person’s eyes makes a world of difference. Or think about the things your friends always ask you for advice on. Are you the go to mommy for making crafts? Or is your home always immaculately clean? Or do you sing in the church choir and would love to teach others to sing as well? Let your passions guide you. Krystal started sharing stories of products she loved, because to her it made sense to work with brands that needed bloggers. If you can’t stop reading about it, talking about it, and learning about it – then blog about it! As you blog and learn about your passion you will soon become an expert on the topic. Your blog will then stand out and become a library of resources for others. In all honesty, if you truly want to earn money online and start a profitable, money-making blog – you need to blog about something that people will pay for. But the good news is, people pay for almost anything. If you want to blog about crafts, think about the problems your audience encounters. And then create a product or service to eliminate that problem. For example, you could create a shopping list of items on your blog so your readers can easily purchase all the supplies in one place. Or suggest alternative products to messy items (glitter, play doh) or dangerous items (hot glue gun, scissors). If you’re a food blogger ask your audience what their pain points are. Create a quick ebook or email course to solve that issue for them. Maybe they never know what to cook for dinner, why not set up an auto email responder to send them three easy meal ideas every morning? The ideas are countless! If you can solve a problem for our audience, you can monetize the solution. How to make money with a blogHow to start a blog. Blogging is not a get rich quick scheme. You are building a brand and a business. With each reader, you are establishing a relationship. And just like in normal life, it takes time to build a relationship with another person. You woo them, give them gifts, spend time with them and consistently stay in touch. Blogging is a way to build trust with your reader so that they want to buy your products and use your affiliate links and read your posts. Think of each blog post as laying a brick in the foundation of your relationship with your reader. Each post needs to help, entertain or educate your reader. If you focus on this initially, you will build a super strong foundation to make money with your blog. 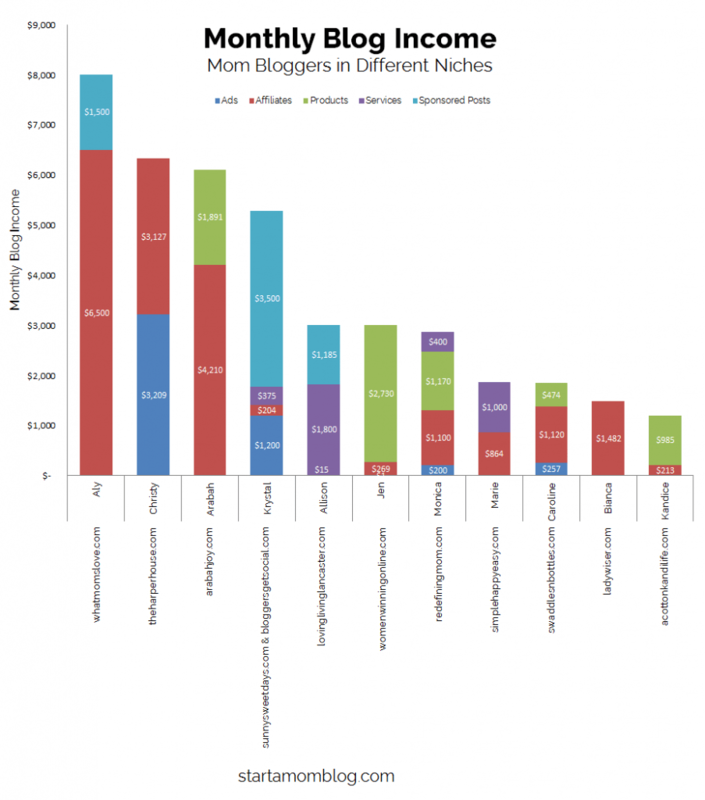 And of course, there are bloggers who make money fairly quickly with their blogs.  Because of their passion for learning and discipline to building their blog, many bloggers can make money within a few months of starting a blog. It took Marie merely 3 months before she started making money with her blog and turning a profit. Aly started to earn over a thousand dollars a month from her blog after 4 months. 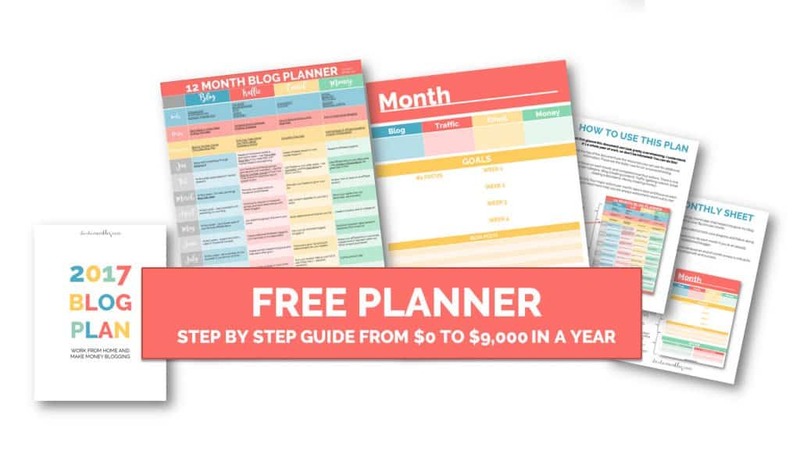 And Jen, Bianca and Allison created a profitable blog after 6 months. These ladies worked hard, had a vision, niched down and focused on helping their readers. It’s amazing what they have done to grow their online businesses and earn money online! How to make money with affiliate marketingHow to start a blog. Many bigger bloggers no longer have time for normal blogging tasks such as creating pinnable images, blog post writing or answering emails. Offering to write blog posts, create pinnable images or schedule a bigger blogger’s social media could be a great way to make money online initially, and help you learn the ropes of blogging. But you do need your own blog to showcase your work and skills. Once you establish yourself a little bit, you can reach out to bigger bloggers in your niche through Facebook groups and offer your services. Allison makes money in multiple ways, but mostly through virtual assisting. If you have a skill to help bloggers get traffic, answer emails efficiently or you’re a budding graphic designer, you can quickly build up your brand and blog through virtual services. Sponsored posts are exactly what they sound like. Blog posts that are sponsored (paid for). You can either reach out to companies yourself if you have a niche they are interested in, or you could apply to the various services listed below that will connect you with sponsors. 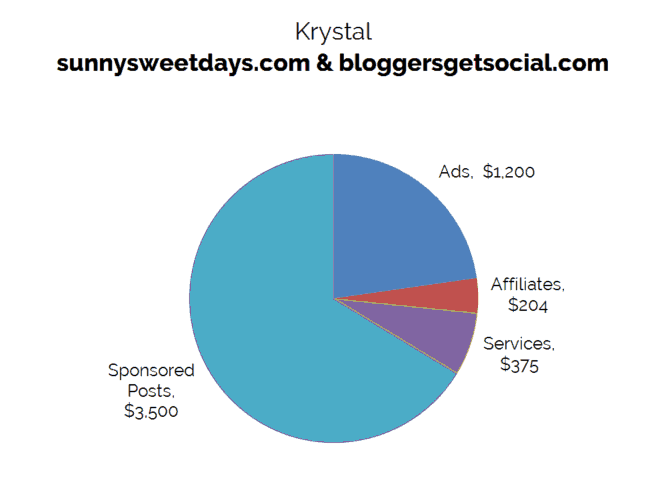 Sandy from Sandy a la Mode started her blog in 2010 and makes an average of $3,000 per month mostly through sponsored posts. As a fashion blogger sponsored posts makes a lot of sense! And even with her lowish page views of 30K per month, she is bringing in a full-time income! Here is another post on how to make money with a blog with examples from small, medium and large mom bloggers. You no longer need a physical store that requires rent, a contract and a long commute to sell products. You can sell anything from the comfort of your home. I am still blown away by this. The opportunities to provide value and make money from home are endless, you just have to be willing to learn and keep trying new ideas. I remember going to the monthly craft fair with my aunt when we lived in South Africa. She would spend the entire month making little ceramic figurines, painting every single detail and glazing them in the kiln again to make them shine. Then she would rent a spot at the local monthly fair, pack up all of her inventory and spend the entire day sitting in the hot sun hoping for a few buyers. Fast forward 20 years, and now any stay at home mommy can turn her craft hobby into a booming online business with sales coming in any time of the day or night. Just think about the cost of starting a business a few years ago, now all you need is a self-hosted blog which becomes your online store and marketing department. 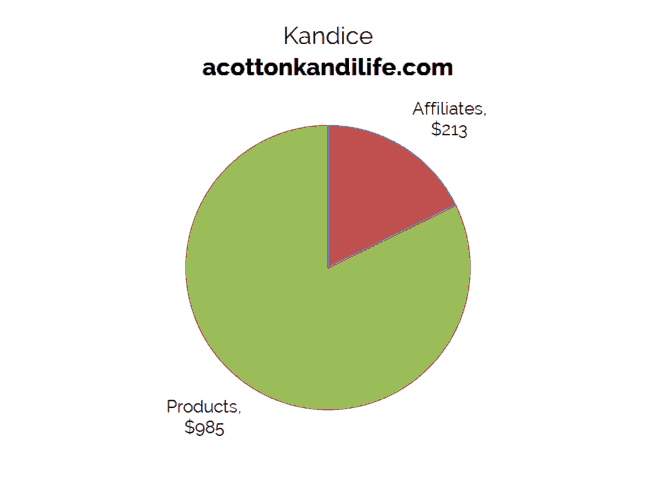 Kandice started selling her products on Etsy and used her blog to drive traffic to her Esty listings. The two work beautifully together because she can direct traffic to her products through her blog and also get additional traffic from being on the Etsy platform. “I have always been an Etsy Seller, even long before I was a blogger. Some of the Etsy listings were actually my first blog posts! As a wedding coordinator, I started creating worksheets and digital downloads, which I would sell on Etsy. I then write a blog post explaining how to use the worksheet or an article about how to solve a problem and, by the way, here is this helpful worksheet to get you through it. The then started doing the same thing on my Mom blog. Crock Pot freezer labels were the first thing I wrote about as a problem solver. I have a post about preparing for your first weeks home with a new baby and freezer meals being a great efficiency and time saver. I then link from my post to the Etsy Listings. So the Etsy Stores and the Blog have always been very linked. So what about direct sales? Could your LuLaRoe business benefit from having a blog? Yes! Bianca drives traffic to her Rodan + Fields direct sales businesses from her blog. She makes over $1,400 per month from blogging about her direct sales businesses. Ebooks, courses and digital downloads are very popular and easy to make. I create my ebooks in Word and convert them to PDFs. My digital downloads or printables are all created in PowerPoint. And my courses are hosted on Teachable. 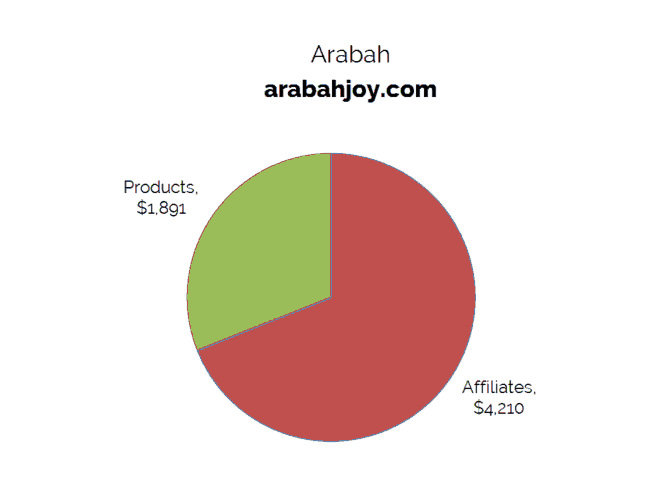 Both Arabah and Jen have digital products that provide them with monthly incomes from their blogs. Here are more ideas how to make money from a blog and benefits to selling digital products online. Affiliate marketing is a technique you can use from day one to start building a profitable blog. Many companies offer affiliate programs which allow you to get a commission from every sale you generate. Once you sign up to be an affiliate you’ll receive a special link. And if someone makes a purchase through that link, you get a commission. What I love about affiliate marketing is that you are in control of how you promote the product and which products you choose. I only promote products that I’ve used and love myself. I also only try to promote products that I know will benefit my readers and that are in line with my niche. If I started blogging about this Godsend espresso machine or my favorite baby carrier, it may sound a bit odd. So be sure to choose products that are in line with your niche. 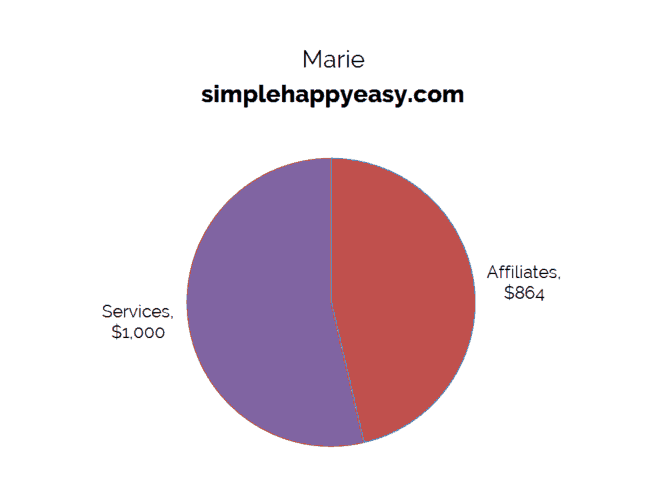 Marie took a course that taught her how to make money from affiliate marketing. 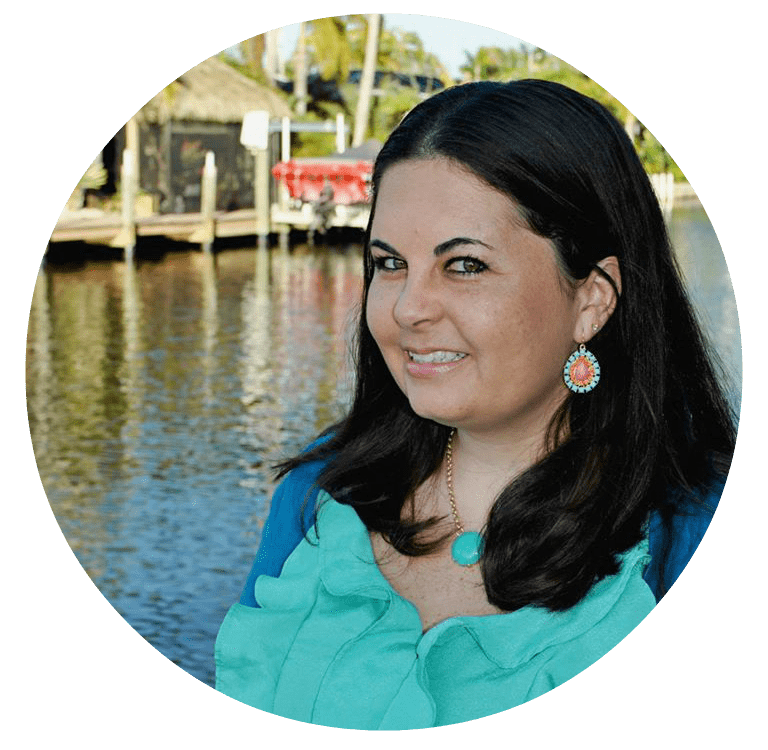 Another great idea is to implement the strategies from this ebook written by Carolina, a mommy who makes over $1,000 per month from Amazon’s affiliate program. 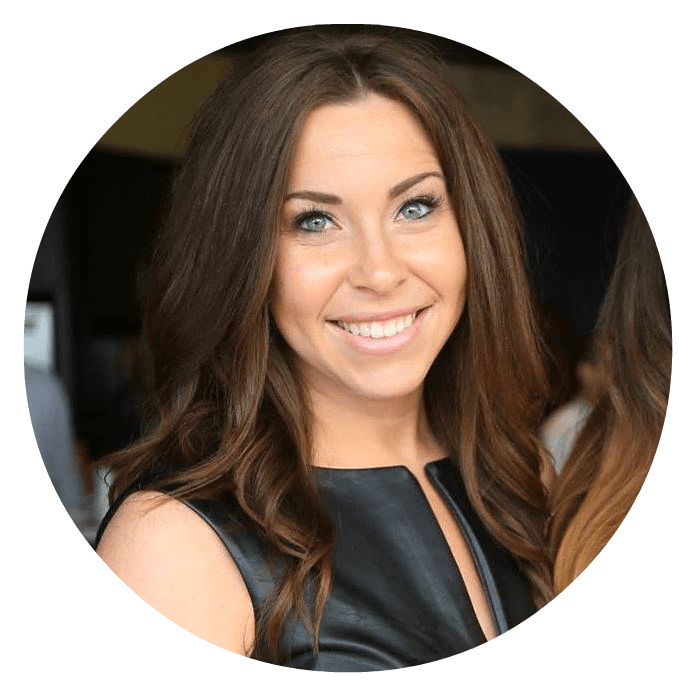 Aly started making over four figures with her blog after a short four months. She’s on fire! And she does it mostly through affiliate marketing. Caroline below shares products that she is passionate about. You can even hear the passion in her answer below. Adding personal experiences and emotion to your blog posts will drive much higher conversions. 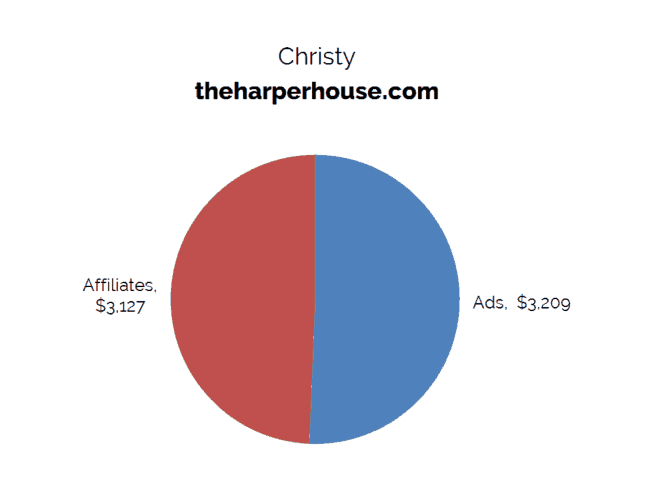 No wonder she’s making almost $2,000 per month with her blog. “Affiliate marketing is the greatest source of income for my blog. As a mom, I rely on ALOT of products to make my life easier. There are some products that I couldn’t imagine mom life without! I share the links to those products through my post and receive a kick back when readers purchase them. I link all the products that I use! Ads are not the most popular form of making money with your blog, but it is very passive. Once you set up the advertisements on your blog you can continue to blog and drive traffic and make money in the process. 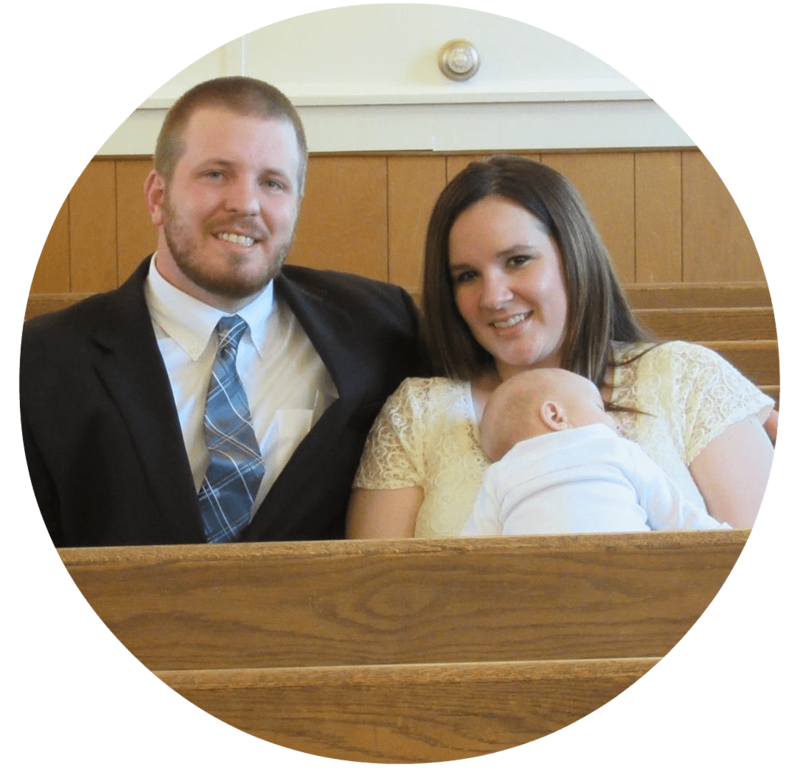 Christy is a phenomenal example of how quickly a blog can grow in one year. 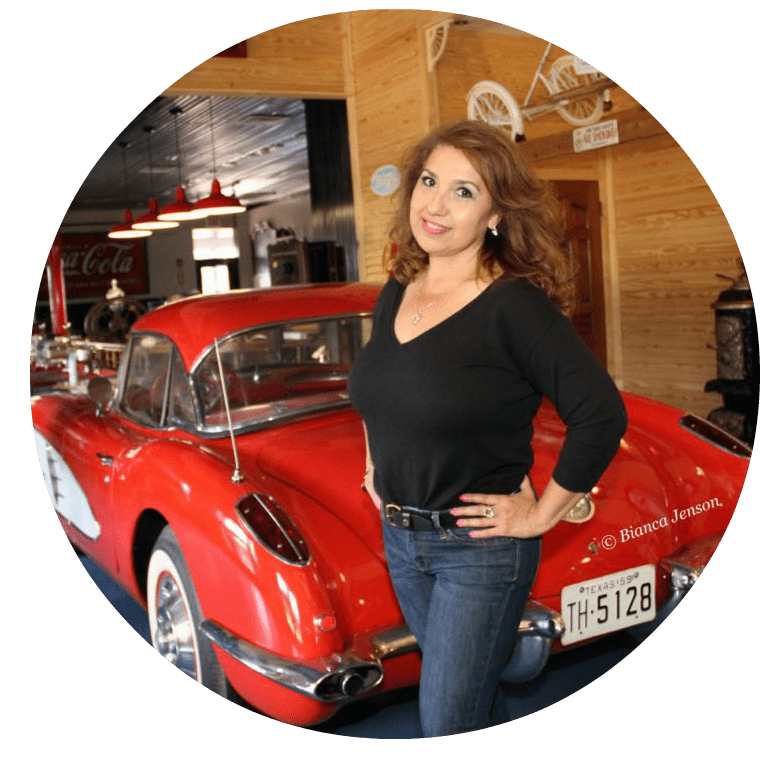 She blogs about home decor, interior design and remodeling. Her gorgeous blog has taken off and made her over $37,000 in her first year of blogging. Now she averages around $6,000 per month. This is proof that any niche can become super profitable! 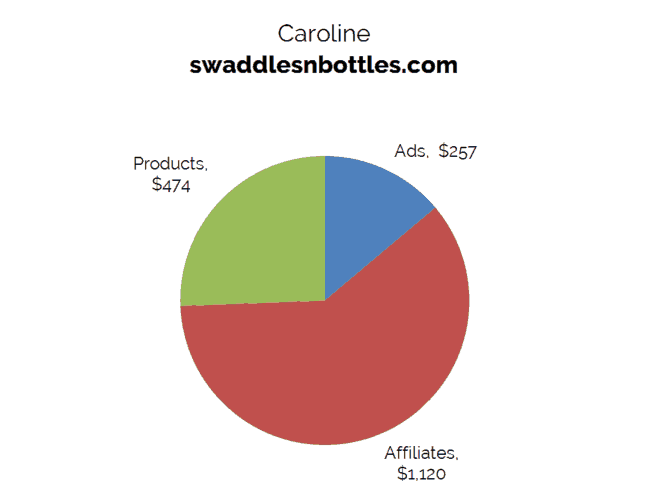 I personally do not love ads, but Caroline below uses them strategically to make money with her blog. Once you pass 100K page views per month I could understand that not putting ads on your blog is leaving a lot of money on the table. But most beginning bloggers do not start with 100K page views. In the end, diversifying your income streams will make your blog become profitable the fastest. I currently have three strong pillars supporting my blog, digital products, services (blog reviews) and affiliates. Monica has three main pillars and is working on a fourth one. Smart momma! “I currently have 3 main pillars of monetization and I will be moving into 4 main pillars in 2017. The first is affiliate marketing. I recommend resources to other working moms such as FlexJobs, which is a natural fit for my audience. The second is contracting and freelance writing. I use my authority in the blogging world to connect with other people who need social media management, sales funnel help, or content creation and work for them on a contracted basis. Since I have an established blog, I also get contacted by other media outlets from time to time to work for them as a freelance writer as well. The third is products. I launched my first low cost product in June 2016, it is a family budget spreadsheet. I’ve made over $3k on a spreadsheet that I sell for $9.97 with very little promotion. I also have an eBook called Busy Moms Building: 12 Steps to Running an Online Business for Busy Moms. The book’s packages include workbooks and video tutorials. I also have a business tracking spreadsheet that I sell. I have ads on my site but they are not a major part of my monetization strategy. As a new blogger I would suggest experimenting with what works for you and your audience. My readers benefit most from my digital products that help them step by step to build a professional blog. 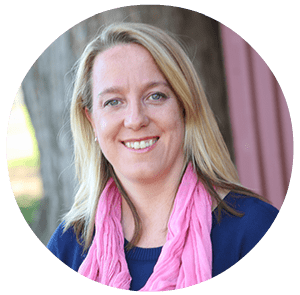 Christy’s audience loves affiliate marketing and they convert really well based on her products she recommends. No wonder she was able to make over $37,000 in her first year of blogging! How the big bloggers make money.How to start a blog. A lot of people get discouraged because they think that only people blogging about blogging make money. And that’s just not true. 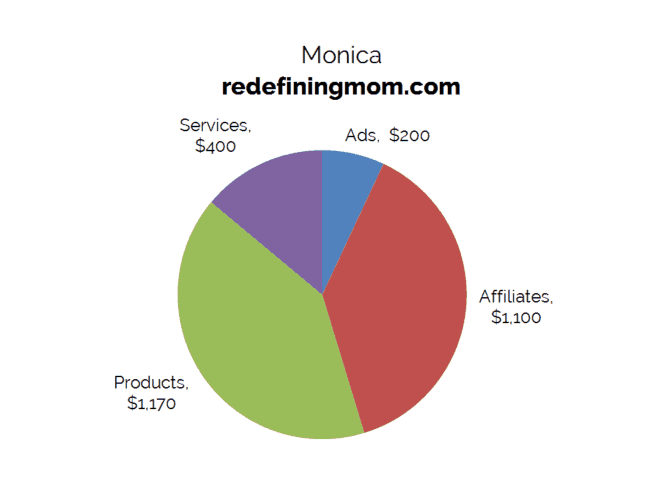 As you can see above mommies in various niches are making a full-time income from their blog, and some even in their first year! There are so many niches where mommies like me and you can make money starting an online business. The reason why many people feel that only business bloggers are making money is because they publish income reports. 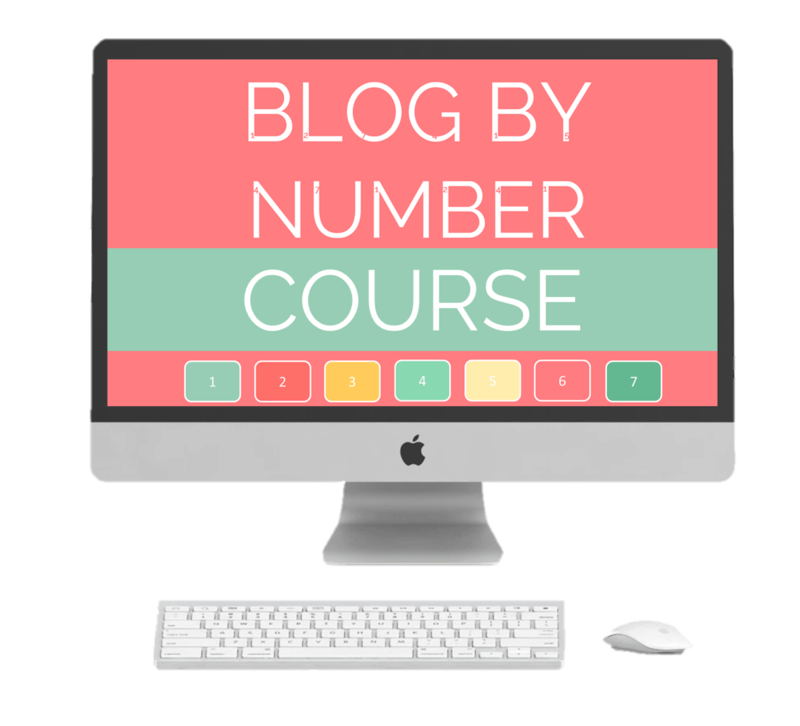 But most successful bloggers don’t feel the need to showcase their numbers. So, how do you earn money blogging? And how do you make money if you’re not blogging about business techniques? I hope the examples above helped you, but here are a few more ideas that you can use! Chelsea from Chelsea’s Messy Apron is an awesome food blogger. Don’t go on her blog when you’re hungry because you’re just going to eat everything. Her videos are amazing and she makes a killing of her blog. In her first year of blogging on a food blog, she made over $40,000. Many bloggers love Amazon because if you sign up to become an affiliate for Amazon, you can recommend anything on their store and receive a commission. Carolina from MamaInstincts makes more than a thousand dollars per month just from Amazon. That’s amazing. Here’s a post on how she does it. You can create an online art class if you’re really artsy. You can teach people how to paint online. You can reach more people now than you ever could before. I strongly believe that education is completely going to change in the next couple years. People are going to learn more and more things online. Why get in debt and go to college for years when you can learn so much of what you need online with other people teaching you for a fraction of the cost. You can create a children’s book. You can create a step by step exercise videos for mommies that just gave birth so they can do it in the comfort of their own home so they don’t have to leave the house. Think about your audience. Maybe there’s a type of person that can’t leave the house, who wants to stay indoors. How can you help them with their problems and issues? You can create an online course or an e-book. You can do online language classes. When I was in college, I skyped with two little girls in South Korea and I taught them English. You can do that today too. You can create a course that teaches hundreds of people English, French or Afrikaans or whatever language you know. You can create a healthy recipe e-book. Or you can create online videos of how you organize your home. I would love it if somebody would do a live video with me as I’m cleaning my closet and holds my hand and tells me, “Get rid of that thing. You don’t need that in your life.” A personal ‘destylist’ helping you on the path of minimalism.That’s what I would love. If you would like to create that, I’m your customer. You can also have services. You can be a virtual assistant. You can do consulting. 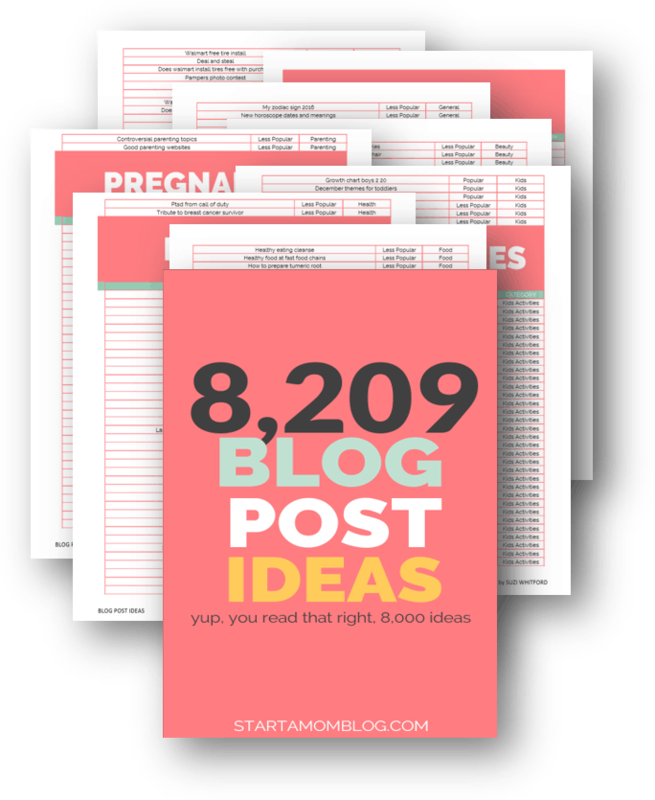 You can do proofreading, freelance writing, virtual playdates- there’s so many ideas. There are mommies that are stuck at home and they want to socialize with other moms. Why not organize a virtual playdate? A couple of different moms can all hang out while the kids are playing in the background. The mommies can chat a little bit and have a skype date and commiserate how motherhood is hard sometimes. You can be an online personal stylist. If somebody can teach me how to do my makeup better, I would love that. Sure I can go on YouTube and get free tutorials, but if I can have somebody that is giving me advice 1 on 1, that’s what I would pay for. Think about different ideas how you can reach people and help solve their problems. There are so many awesome ways to earn money online and create a profitable blog. Thank you so much for the feature Suzi! Wow, Suzi! 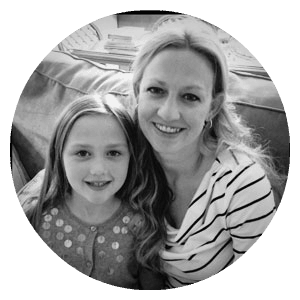 It is inspiring to see how so many moms are earning real income through their blog. It is especially helpful to see how a blog can be a platform for other services and products. 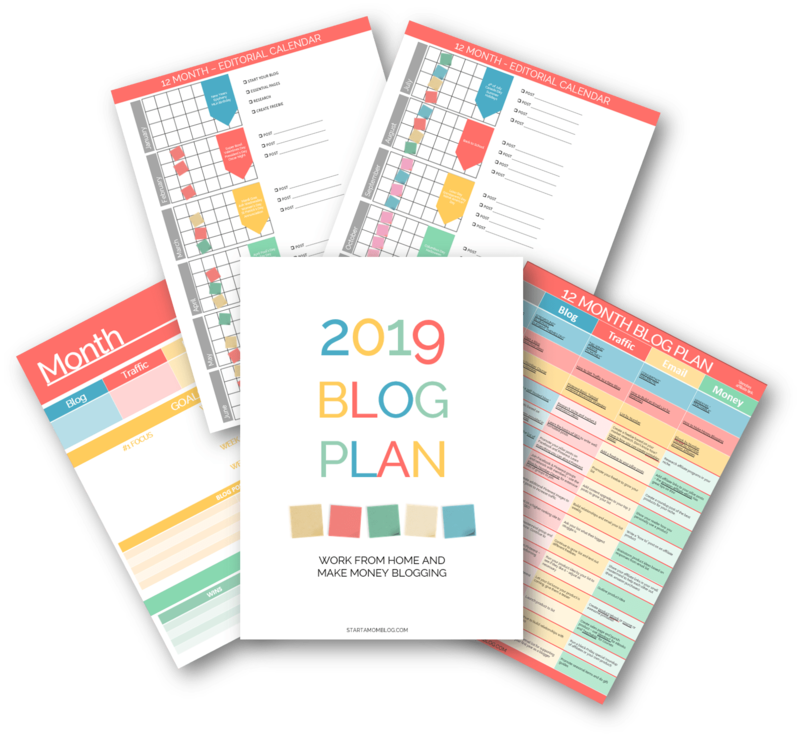 I am very excited to use your blog calendar– I love a good step-by-step plan! Thank you! Thank you for sharing this exhaustive post on a peek into how to make money online with a blog. Right now I am trying to create a plan on how to make money on my blog. Quick question…do you have a particular order of how I should go about doing this. For example, I looked into ads and certain companies have a minimum of traffic I need to have per month to sign up with them so that took ads off of my list for now. Since my blog will be new with no audience, I figured creating a product should not be something I do first. What’s your advice on the order of monetization for a new blog? Great question! I would start off with affiliate marketing as your first method for making money. There are no requirements and it’s not a huge time investment like creating a product. Once you have traffic and an audience, you can ask them what they need and that will start giving you ideas for products. As your traffic increases you can also then look into ads and sponsored posts. But starting with affiliate marketing is a great first step! Hope that helps!! Awesome post Suzi! So much information and I really like how you’ve laid it out with pie charts and graphs. It’s so inspirational to see all of the different ways to monetize… I’ll have to go and check out all of these amazing mom bloggers as I continue my quest to try and monetize my blog. This turned out so beautifully! Really great work Suzi and thank you so much for the opportunity to hang out with the group of stunning and successful mamas – I’m honored! Thank you Marie! I’m so happy to have you 🙂 And all the formatting is done with my Divi theme, which I love! 🙂 Thanks for the comment! Thanks for the feature, Suzi! I’m feeling even more motivated after reading some of these other moms stories! This is such a wonderful post. You are one awesome mama! Carolina, congrats on the success! And yes, I love posts like these – they super inspire me too!! Wow! Talk about inspiring! These are such great reminders that hard work and patience will pay off. I launched my blog January 1, and I have just become an affiliate for Amazon. Hopefully, between my online products through TeachersPayTeachers and affiliate sales, I can start monetizing! Yes! Jennifer, if you stick with it, you will grow! It’s amazing and so encouraging to see what we can do now! 20 years ago this was not even remotely possible! What a great article to inspire mom bloggers! Thanks so much for featuring What Moms Love. Thank you for being a part of it Aly! Your blog is fantastic and really pretty too! Congrats on the success! Thank you so much for featuring my Suzi! It’s amazing how much my Rodan + Fields business grew once I started blogging about it. Your blogging tools make it easy for moms to start blogs and maintain them. Fantastic Bianca! It’s amazing that blogging can be used in so many ways – even to grow your direct sales businesses! Congrats on the super success! I love this post! It gave me so much more information on how to gain an income doing something I already love! 🙂 I can’t wait to read more on your page! Thank you Hannah!! I really appreciate it! Awesome post buddy, thanks for sharing this great work. Very interesting blog. A lot of blogs I see these days don’t really provide anything that attract my attention, but I’m most definitely interested in this one. Just thought that I would post and let you know. Thank you Denver! Much appreciated! 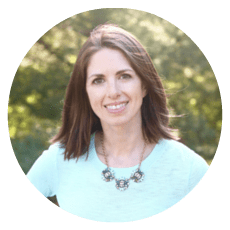 Suzi I have a question about affiliates…hooking up with Amazon would be a natural next step for me and a good fit for my blog on motherhood, but do you know if it makes a difference which Amazon I link to? I am a Canadian living in Germany, but most of my readers are from North America. That means I make my own online purchases on Amazon.de, but would want to direct my readers to Amazon.ca or Amazon.com. Is there a way to put it all together so I don’t need to put 3 different links after each product I recommend, or does Amazon somehow sort it out themselves? Kristyn, you can use Amazon’s one link feature! HOW MUCH DOES IT COST TO OPEN A BOOK STORE FROM YOU? So glad you like it Duane! Thanks Food Network 🙂 Glad you found my little blog! Such a cool post! I enjoyed reading how different bloggers make money with their blogs. I have a few things going on with my blog- digital products, affiliate links, and services. Eventually I’d like to try sponsored posts. It’s fun to diversify money streams! I have been to many posts for make money online. But, this one contains all the point to point information. Glad I reached here. Very nicely written. Keep it up. I want to blog for multiple reasons. I have come to feel recently that I want to have ownership of something, like a business, but don’t have the collateral to start a brick and mortar company. Also, I wanted more leadership of something but some companies won’t give me that, unless I have years of experience. I am intelligent and talented but need more of a challenge. Another reason is I love writing and no other time in the world have regular people been able to be successful writing and reach a huge audience. Yet another reason is that I want to help other single moms to be their best and know that they are not alone. Along with that, I want to build a community and get more social. Also, I want to truly enjoy my job and know that I’m utilizing my talents. Lastly, I want to make money so I don’t feel dependent on my ex. I want to be so successful that I can get my own house and be able to travel more. Subject of your article is very interesting.I ‘d love to read more.Please make the next post here, i ‘ll be waiting for that.